This article details one way to stream TV and movies from the internet to your television set. There are several ways to do this. For a more comprehensive guide on everything, you need to know about enjoying all the TV and movies you want without a cable TV subscription, check out my cord cutters guide. My family cut the cord and ditched our cable subscription last year. Before jumping in with both feet, we did a little experimentation with the devices we already owned to test out if we could be content solely with TV and movies available over the internet. The Xbox 360 was the core system for this trial run. Were you aware that you can watch Hulu, Amazon Instant Video, and Netflix on Xbox gaming consoles? The Xbox 360 and Xbox One provide a means of turning any television into a smart TV. Even if you aren’t planning on ditching cable TV, putting the app for Amazon Instant Video or Netflix on Xbox is worth it. It will save money on movie rentals, and replace or augment lackluster On Demand services from your cable provider. At the time, an Xbox Live Gold membership was required to use these streaming apps. That meant an additional $11.99 a month to use a streaming service such as Netflix on my Xbox 360. Luckily for you, Xbox no longer requires an Xbox Live Gold membership to install these apps. So as long as you have an Xbox 360 or Xbox One in your house, you can follow this tutorial and turn your TV into a smart TV. These are the steps you need to take to set up services such as Amazon Instant Video or Netflix on Xbox. – Sign up for the streaming service you want to use. I’ve linked the three I use at the bottom. Using the Amazon Prime free trial supports this website, so thanks in advance. – If not already done, set up Xbox on your home network. This will connect the Xbox to the internet, so the apps can stream content. I linked instructions at the bottom of the post to accomplish this. – Power on your Xbox 360 or Xbox One and sign in to Xbox live. Sign in typically happens automatically if you have used Xbox Live prior to now. For those who need assistance with this part, I’ve linked support references at the bottom of the post. – Install Streaming Apps on Xbox 360. Navigate to “video”, then to “My Video Apps”. There you will see if Netflix, Hulu Plus, or Amazon Instant video is already installed. Streaming apps that aren’t listed can be installed by navigating to the “apps” menu, then selecting “Browse Apps”. There you can find the Netflix, Hulu Plus, and Amazon Instant video applications, select them and install the services you signed up for. After downloading, if the app doesn’t start automatically, navigate to “video”, then to “My Video Apps”. From there, start your newly installed applications. – Install Streaming Apps on Xbox One. 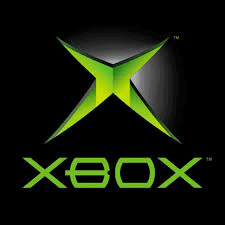 Press the Xbox logo on the controller to open the Start Screen. Press the “My Games and Apps” menu to see if Netflix, Hulu Plus, or Amazon Instant video is already installed. – Log in when the app starts. Use the login information you used when setting up your account in step 1. You are now all set up to watch Hulu, Amazon Instant Video, and Netflix on Xbox. My family tried this out for a few weeks. We were so pleased with the services, we no longer saw a need for cable TV. After a few weeks, we dropped cable altogether. If you are interested in learning how to completely drop your cable subscription, check out my cord cutting guide. It provides a comprehensive view of what needs to be considered and the steps required to leave your cable bill behind. Join Amazon Prime – Start Free Trial Now – Sign up through this referral link supports Grounded Reason through a small commission paid from Amazon.